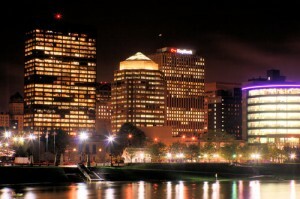 The call went out to anybody with a camera, and the response was amazing: Light Up Dayton, a photo contest sponsored by the city of Dayton, the Dayton Daily News and the Downtown Dayton Partnership, asked for images of Dayton’s new skyline, and got nearly 400 entries. “We were hoping for at least 100,” said Laura Woeste, the partnership’s director of marketing and communications. 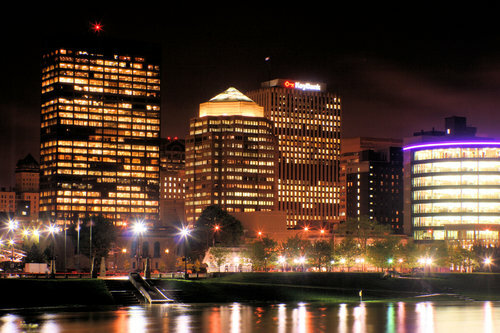 “It’s fascinating to see the way Dayton looks through the eyes of many. All 400 entries will be displayed Friday, May 15, during downtown’s Urban Nights, 5 p.m. to 10 p.m., at the old Rutledge Gallery in the lobby of the Kettering Tower, near the Second and Jefferson street corners. During Urban Nights, voting will take place for a People’s Choice award, Woeste said, and winning entries in all categories will be published in the Life section of the Dayton Daily News on May 29. This entry was posted on Thursday, May 14th, 2009 at 9:20 am	and is filed under dayton rocks!. You can follow any responses to this entry through the RSS 2.0 feed.